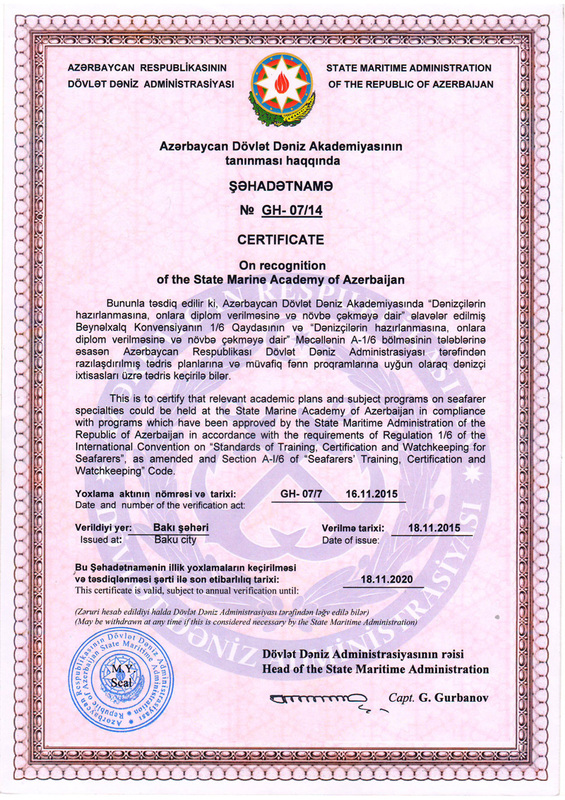 International relations of Azerbaijan State Marine Academy (ASMA) encompasses bilateral cooperation with foreign universities, participation of ASMA in international educational programs, involvment of foreign students, cooperation with the relevant international organizations and other directions of activities. 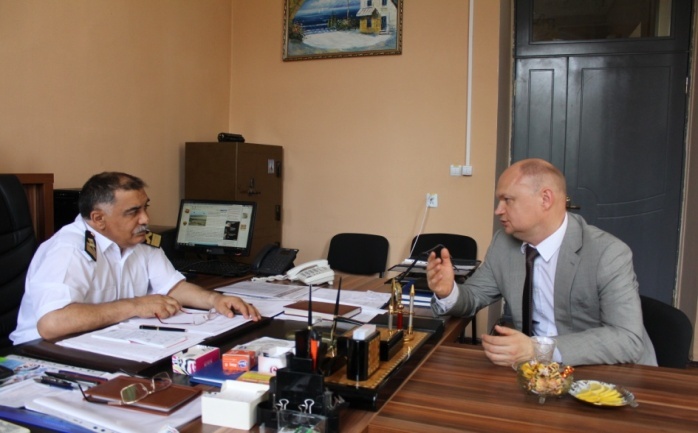 Cooperation with foreign universities includes performance of teacher and student exchange, realization of mutual dual diploma programs, organization of scientific conferences and workshops and exchange of mutual beneficial experiences. 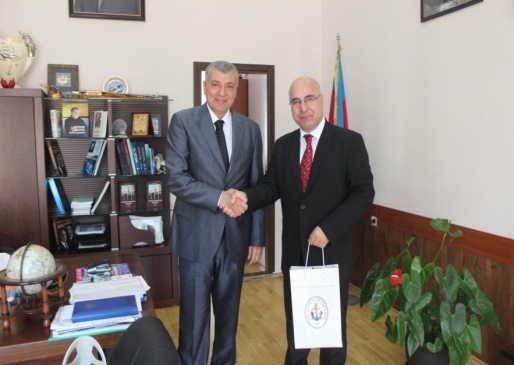 Up to now, UNEC has signed bilateral agreement on cooperation with 18 universities from 11 states of the world. 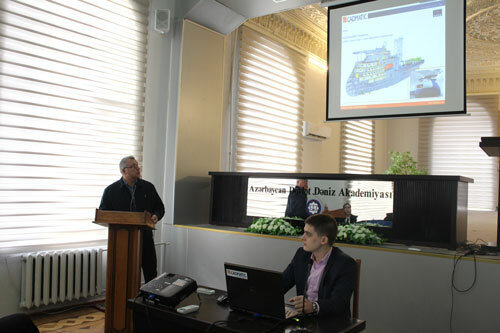 At present, our Academy is actively collaborating with Russian universities such as State University of Sea and River Fleet named after S.O.Makarov, Astrakhan State Technical University, Novorossiysk State Marine University named after F.F.Ushakov, State Marine University named after Nevelski, as well as Szczecin Maritime University of Poland, Latvian Maritime Academy, Estonian Maritime Academy,Chernogorian Montonegro State University, Bulgarian Varna Technical University, Ukrainian National Shipbuilding Academy named after Admiral Makarov, Kiev State Water Transport Academy named after hetman Petro Konashevich- Sahaydachniy, Caspian State University of Technology and Engineering named after S.Yesenin, Batumi Maritime Academy and Batumi Navigation Education University of Georgia, Klaipeda University of Lithuania, Istanbul Technical University of Turkey, Maritime Academy of Sevastopol. 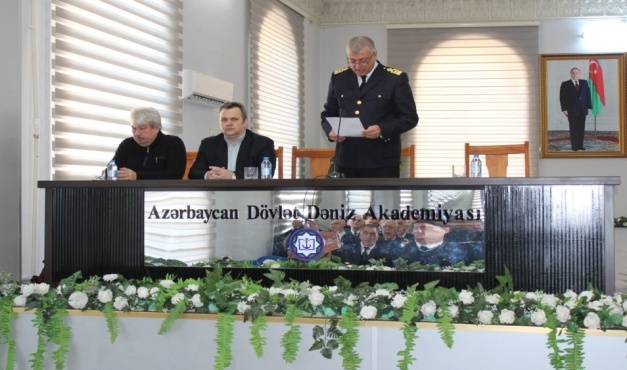 At the same time, Azerbaijan State Marine Academy is closely collaborating with Lithuanian İnformacine Raida, JSC and Turkish “Turksen Eğithuaniaim Ltd”. 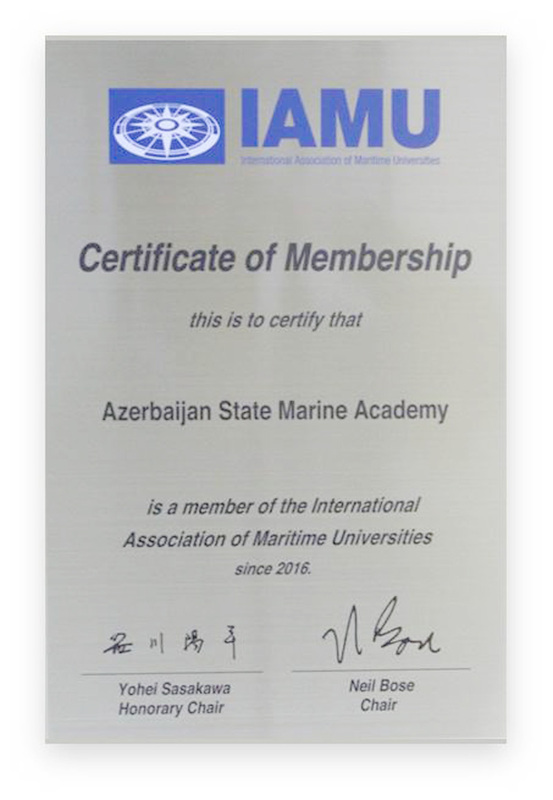 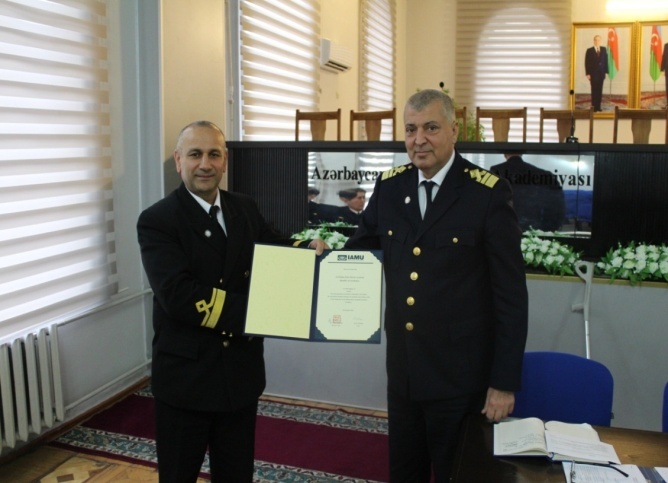 Moreover, Azerbaijan State Marine Academy is a member of university unities such as IAMU (International Association of Maritime Universities), Association of State Universities of Caspian Littoral States and International Educational and Methodological Unity. 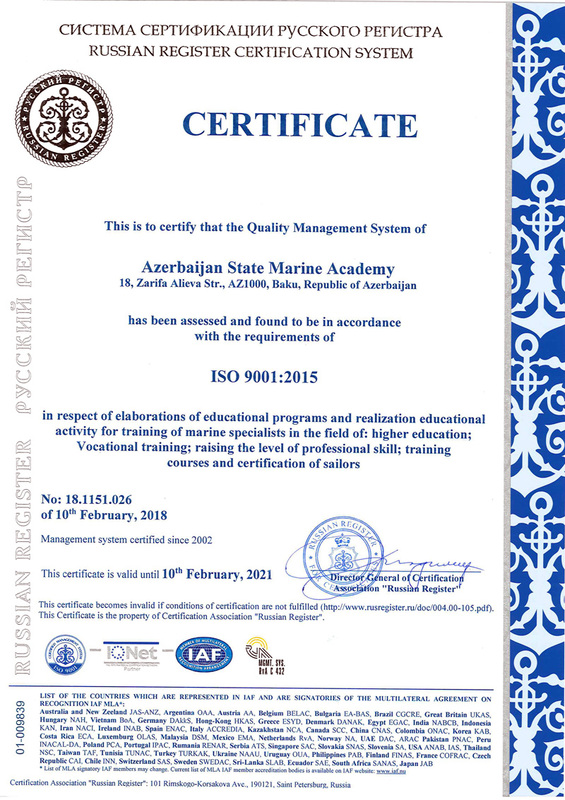 Participation of ASMA in international educational programs and projects holds a special place in international relations of the Academy. 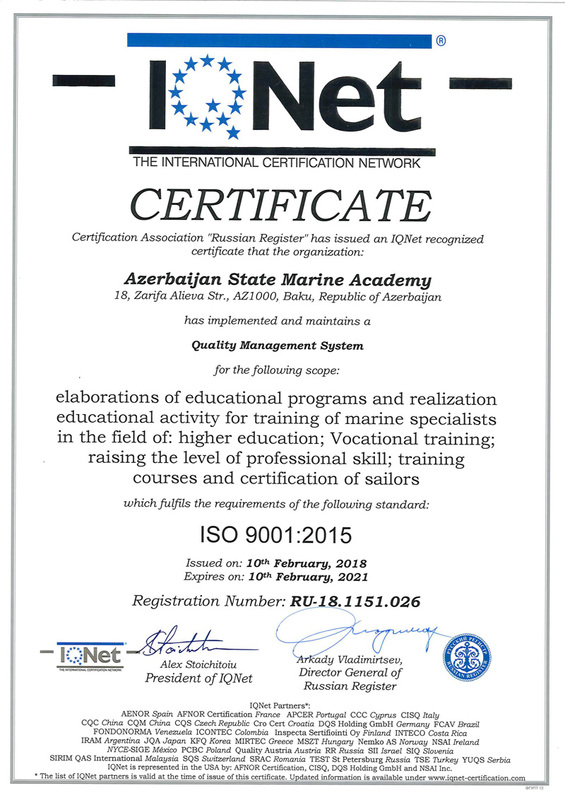 We may state Erasmus+ program as the most successful of programs which we cooperate with. 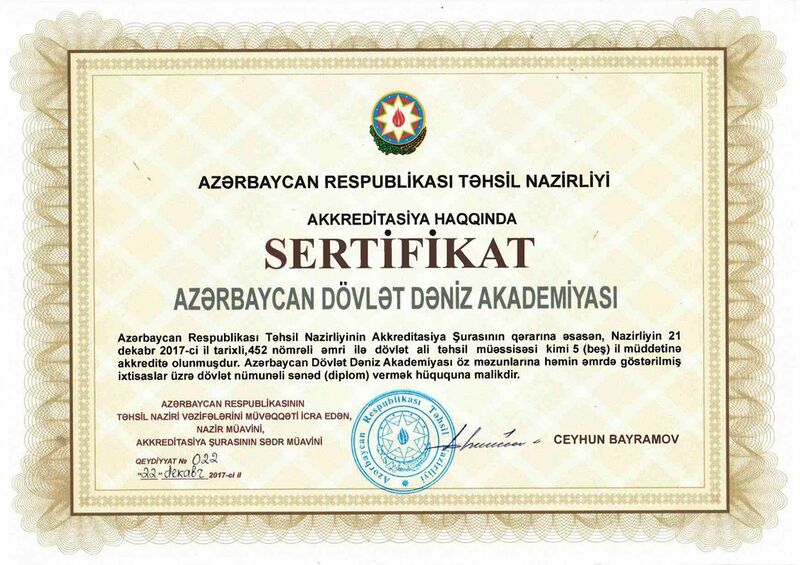 Being that, ADDA has developed and submitted following three different projects as a coordinator under Erasmus+ program : “Development Education Management Information Systems”, “Promotion of Entrepreneurial Spirit in HEIs” and "Capacity building for establishing and developing of Transportation and Logistics Engineering Curriculum (KARVAN). 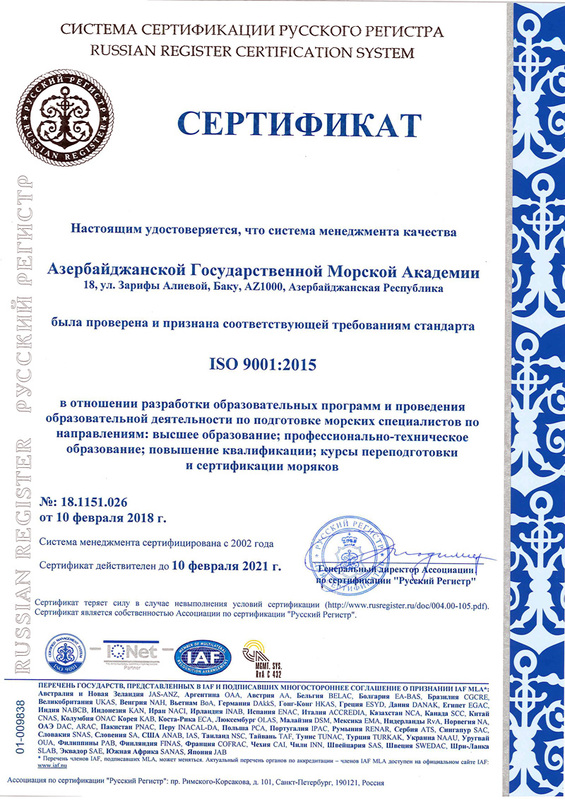 International Educational and Methodological Unity.